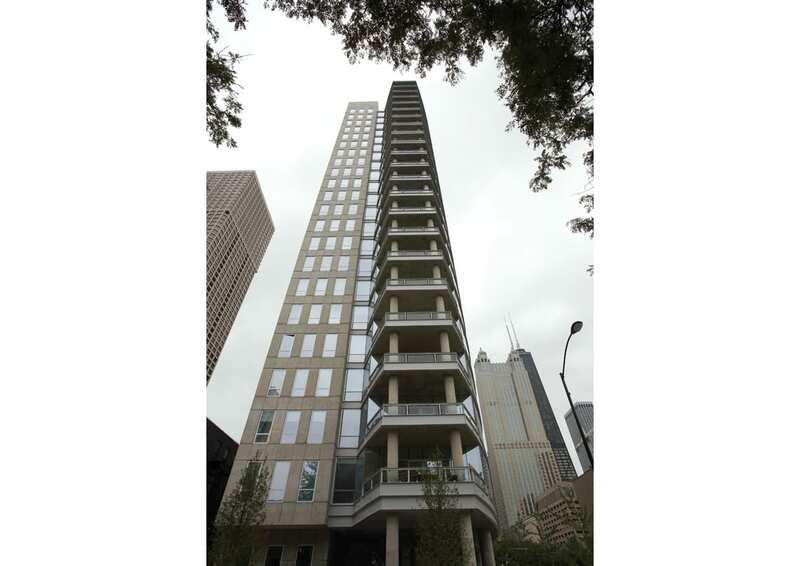 Near The Newberry Library and Gold Coast shopping district, 30 West Oak combines a condominium tower with modern low-rise townhomes in a vibrant, high-density location. 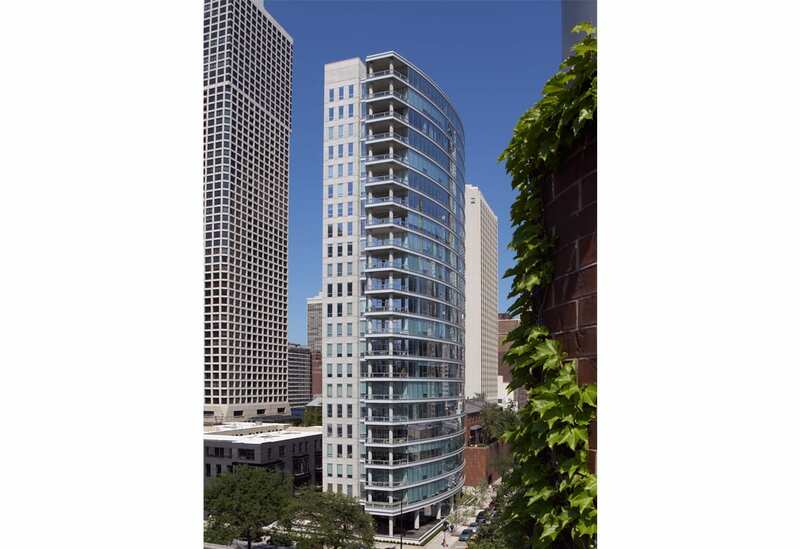 The Chicago tradition of innovating tall building design advances in the 48-unit condominium tower. Two vertical masses, one of glass and one of concrete, create separate living zones within each unit. 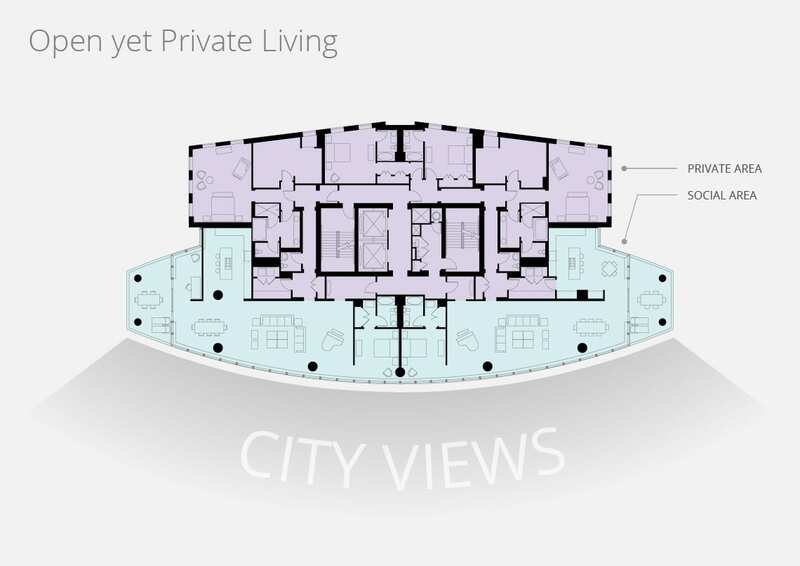 Public and social spaces, including living, dining, and terrace rooms, are wrapped in floor-to-ceiling glass, while bedrooms, bathrooms, and closets are located in a concrete shell with punched openings. The material contrast expresses exposure and seclusion and orchestrates movement through each customized unit. 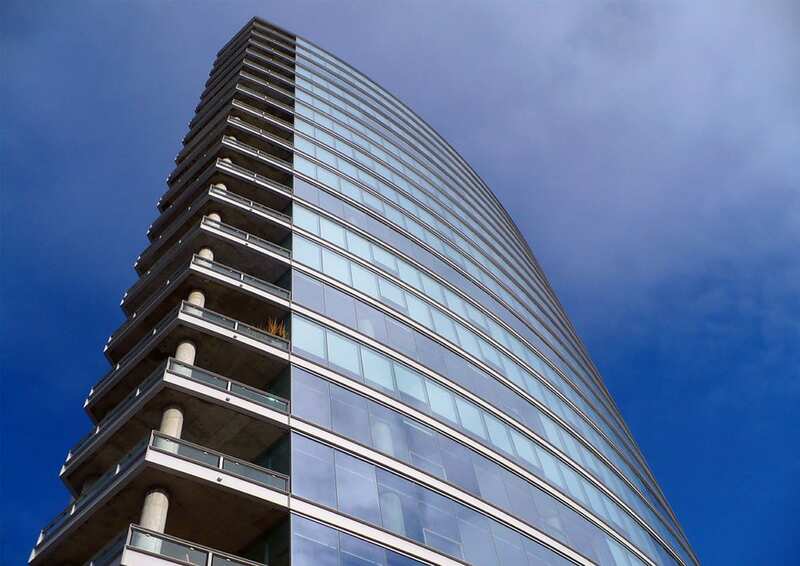 The tower boasts a unique spandrel solution developed in collaboration with the client and structural engineer. A factory-curved steel beam forms the edge of each floor, installed during construction as part of the concrete slab formwork. 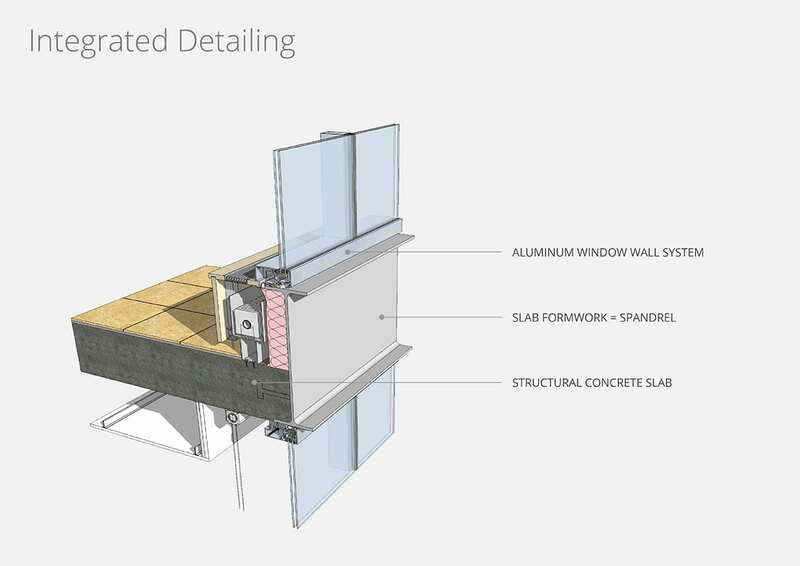 Left in place after the slab installation, the steel provides a precise setting for the glass window walls that fill in the façade. 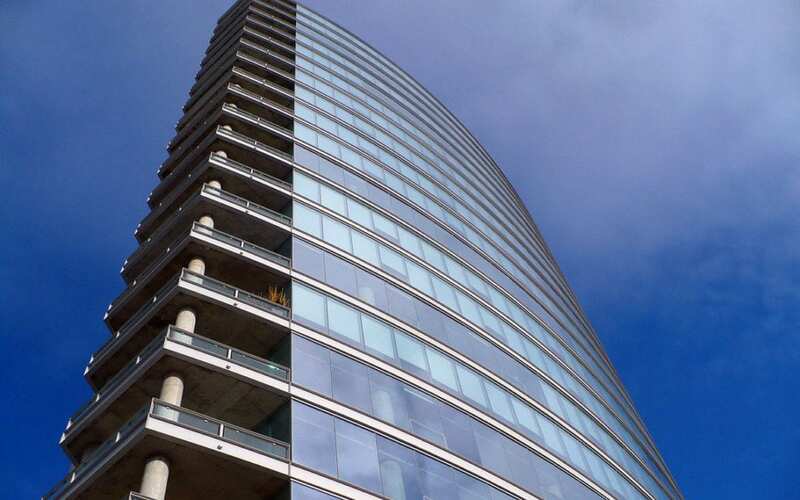 On the exterior, each level of the building is legible with a distinctive steel flange profile. 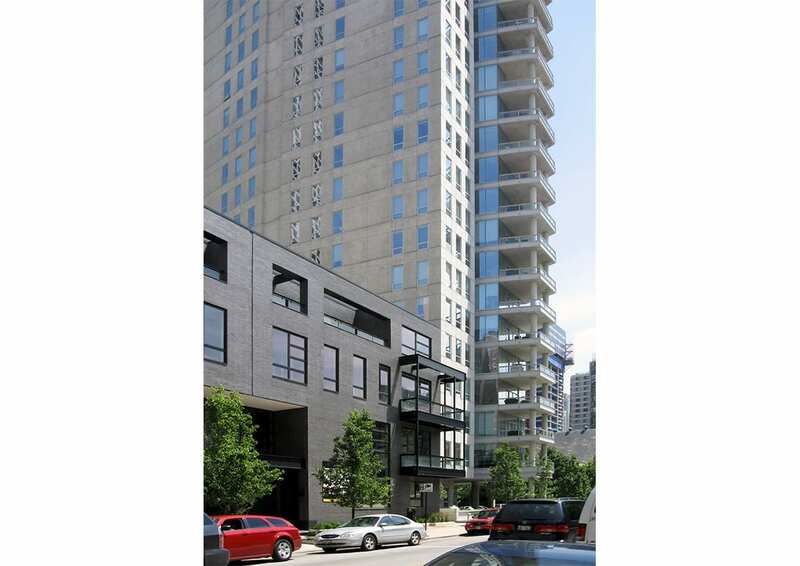 The tower spandrels and townhome balcony assemblies were fully fabricated off-site and designed for transportability. Simple, thoughtful architectural solutions addressed these and other construction challenges, contributing to the building’s overall clarity and restraint.